Nadir ranks 48th on the ISO 500 list! Nadir, which maintains its place on the list of “the top 500 companies of Turkey”, holds its consistent position, ranking 19th in 2012, 29th in 2013, 60th in 2014, 56th in 2015 and 53rd in 2016. Nadir Metal, the leading gold refinery company of its sector, continued to maintain its rising graphics steadily, maintaining its position in the list of “the top 500 companies of Turkey”, announced by Istanbul Chamber of Industry. The study of Turkey’s 500 Largest Industrial Enterprises, which was initiated as the 100 Largest Industrial Enterprises in 1968 and developed every year, serves as a strong mirror for the Turkish economy. 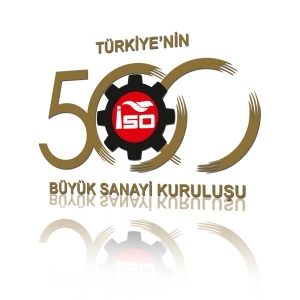 With the 500 Largest Industrial Enterprises research, the actual x-rays of industry that are not available anywhere are obtained, and significant contributions are made to the development of Turkish industry and the determination of prudential course of action. Nadir Metal sustained its continuous rise, ranking 19th in 2012, 29th in 2013, 60th in 2014, 56th in 2014, 53rd in 2016 and 48th in 2017 in the list which is updated every year based on the data of the previous years. When we look at the economy nationwide, the steady rise that we have showed when we consider the fluctuations in the economy especially in the last two years is a proof that artificial economic recessions do not cause any loss in terms of the sector. In recent years, becoming one of the biggest industrial establishments of our country and taking place near the top in similar lists announced by independent organizations, Nadir Metal has ranked among the 60 biggest companies of Turkey. The company, which was founded by Nadir Tütüncü in the sixties, initially took part in ramat business and jewelry sector. As of today, Nadir Metal, which possesses the capacity of 150 tons of gold and 200 tons of silver processing, and processes precious metal in its factory equipped with advanced technology, has reflected its build-up over years in statistics as well.